In this invaluable new book, Jim Stanley charts a practical course for understanding and handling a variety of problems that both new and established landowners in the Texas Hill Country will confront—from brush control, grazing, and overpopulation of deer to erosion, fire, and management of exotic animals and plants. 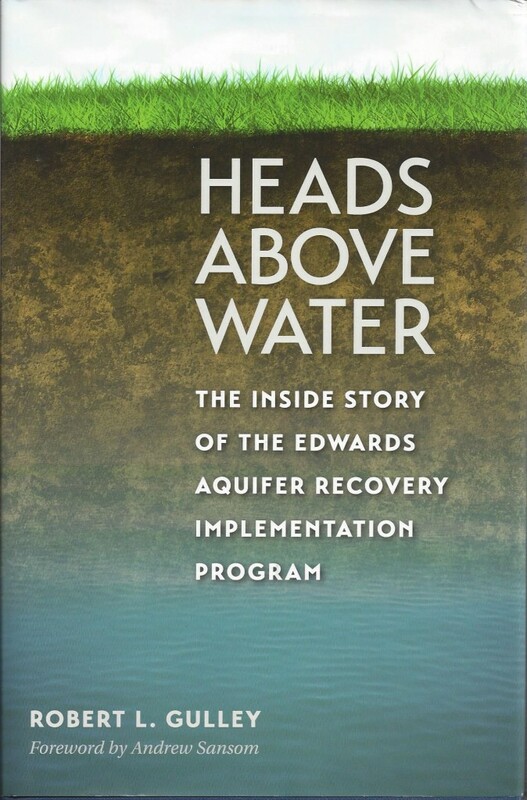 In this book, Gulley tells the inside story of the Edwards Aquifer Recovery Implementation Program (EARIP), a federally sponsored process put in place by the Texas legislature. How such a large and fractious group came together to resolve one of the nation’s most intractable and longstanding water problems serves as a case study in consensus building. Property is a thing. Happiness is an ideal, a story of the future created by the imagination. The American dream, even when it takes material form, is a wish the heart makes in its pursuit of happiness. It is an act of the imagination made vivid by the life and liberty that allow us to pursue it with hope. Read and share one of our timeless favorite pieces by Betty Sue Flowers. Three generations of Bass men have hunted deer on the same land in the Texas Hill Country. This volume of essays captures the spirit of the hunt and the family ties that bind a young man to a piece of earth. Living in the country in Texas can be the most enjoyable experience of your life, but managing rural property is not the same as taking care of a half-acre suburban lot. Living in the country and taking care of the land involves issues many new landowners have not experienced before. This book discusses why it is so important that rural land in Texas be well-managed and the native flora and fauna be protected. In ten impassioned essays, veteran Texas environmental advocates and conservation professionals step outside their roles as lawyers, lobbyists, administrators, consultants, and researchers to write about water. Their personal stories of what the springs, rivers, bottomlands, bayous, marshes, estuaries, bays, lakes, and reservoirs mean to them and to our state come alive in the landscape photography of Charles Kruvand. Sandra Postel explains that decades of profligacy and mismanagement of the world’s water resources have produced signs of shortages and environmental destruction. She writes with authority and clarity of the limits-ecological, economic, and political-of this vital natural resource. She explores the potential for conflict over water between nations, and between urban and rural residents. And she offers a sensible way out of such struggles. Last Oasis makes clear that the technologies and know-how exist to increase the productivity of every liter of water. But citizens must first understand the issues and insist on policies, laws, and institutions that promote the sustainable use of water. An essential guidebook to a powerful new way of understanding our world-and of living resiliently within it-developed in recent decades by an international team of ecologists. With five clear and compelling case studies drawn from regions as diverse as Florida, Sweden, and Australia, this book shows how all highly adaptive systems-from ecologies to economies-go through regular cycles of growth, reorganization, and renewal and how our failures to understand the basic principles of resilience have often led to disaster. The environmental impacts of sprawling development have been well documented, but few comprehensive studies have examined its economic costs. In 1996, a team of experts undertook a multi-year study designed to provide quantitative measures of the costs and benefits of different forms of growth. Sprawl Costs presents a concise and readable summary of the results of that study. This book holds stories from more than sixty people who represent a variety of causes, communities, and walks of life…each speaks from the heart in personal reminiscences and first-hand accounts of battles fought for land and wildlife, for public health, and for a voice in media and politics. In Thrifty Green, Short offers a unique, resource-by-resource approach that shows us that the best way to practice conservation, the real win-win, involves saving money as we lighten up. Peppered with examples of people living both on and off the grid, eccentric and ordinary, who are deliberately making choices to live with less, Thrifty Green is much more than a how-to book. It is a conscientious guide to the art of going green that includes a wealth of terrific tips, fun facts, and straightforward strategies that will make you think about conservation in a whole new way.